Emerging markets have underperformed significantly since the start of the year, despite an economic backdrop that is supportive of emerging market equities. According to to Overberg Asset Management, this seems unreasonable. OAM noted that blame for the underperformance in emerging market equities is attributed to the strengthening dollar and unpredictable US trade policy. "A stronger dollar reflects a tightening in global financial conditions, which prompts underperformance in riskier assets such as emerging market equities." According to the analysts at OAM, an inflection point in the appreciation in the US dollar and the deterioration in US trade relations should pave the way for a re-rating in emerging market equities. "What is good for emerging markets, as an asset class, is also good for the rand and South African equities." • The ABSA/BER manufacturing purchasing managers’ index (PMI) slumped in October from 43.2 to 42.4 its lowest since 2009 and substantially below the neutral 50-level which separates expansion from contraction. All sub-indices were below 50, with the forward-looking new orders index declining from 39.6 to 39.0, the employment index losing ground from 44.3 to 44.2 and most worrying, the future conditions index measuring expected conditions in 6-months’ time falling from 45.8 to 41.7. The only bright spots were the business activity index which improved from 38.7 to 40.3 and the prices index which decreased from 85.9 to 84.7 indicating an easing in inflationary pressure. While the PMI data indicates a recession in the manufacturing sector, it has tended to over-estimate the downside. The PMI incorrectly predicted a recession in August, while in fact manufacturing production increased that month by 1.30% year-on-year. The PMI data measures manufacturing confidence, which may differ from hard production numbers. • Total new vehicle sales unexpectedly increased in October by 1.7% year-on-year, rebounding from the 2.0% contraction in September. The outcome was better than the consensus forecast, which predicted a 1.7% decline. While new passenger vehicle sales continued to contract, by 0.7% on the year following a 2.6% fall in September, new commercial vehicle sales jumped by a solid 7.0% on the year compared with a decline of 0.5% the prior month. The National Association of Automobile Manufacturers of South Africa (NAAMSA) observed that the strengthening in new commercial vehicle sales suggests an improvement in capital investment. Light, medium, heavy and extra heavy commercial vehicle sales increased year-on-year by 5.9%, 15.3%, 9.0% and 18.8%, respectively. In further good news, total new vehicle export sales increased by 20.9% on the year, up from 1.1% in September. NAAMSA expects export sales to maintain strong momentum in 2019. • The trade balance unexpectedly returned to a deficit in September with imports rising by 19.3% year-on-year faster than export growth of 11.2%. On a month-on-month basis imports increased 7.9% while exports fell 2.7%. The trade deficit in September measured R2.95bn, a sharp deterioration from the R8.79bn surplus recorded in August. For the year-to-date the trade balance is in a minor deficit to the tune of R330m compared with a surplus of R44.9bn over the same period in 2017. The rising oil price is a major culprit, causing the import of mineral products to increase a massive 99.6% on the year. 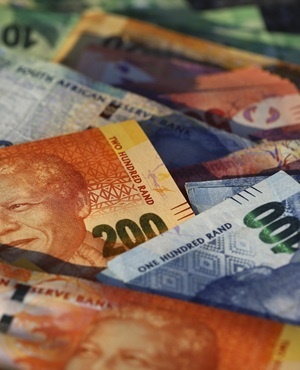 The rand price of crude oil in September was up 55.7% on the year. Meanwhile, improving political and policy certainty is reviving business confidence, which is lifting demand for imported fixed capital investment goods. • The third quarter (Q3) Labour Force Survey confirms that the unemployment rate increased from 27.2% in Q2 to 27.5% in Q3. In Q3 non-agricultural formal sector employment fell by 65 000 quarter-on-quarter and by 125 000 year-on-year in stark contrast to employment in the informal non-agricultural sector, which increased by 188 000 on the quarter and 327 000 on the year. Despite the net employment growth, the unemployment rate increased due to the labour force expanding by 219 000 on the quarter and 187 000 on the year. Encouragingly, the labour force participation rate improved slightly from 59.1% to 59.5% indicating an increase in the number of people actively seeking employment. Over Q3, employment in agriculture, mining and manufacturing contracted by 1 000, 29 000 and 25 000, respectively while employment in the finance and other business services sector increased by a robust 102 000. Employment in the construction sector increased by 26 000 on the quarter and 137 000 on the year. Employment growth, traditionally a lagging indicator in the economic cycle, should gather pace as the economy recovers from the recession suffered in the first half of the year. Greater policy certainty and directed policy initiatives, including the recent Jobs Summit and Investment Conference, should encourage employment growth over coming months. • Mining production: Due Thursday 8th November. Following a horrendous reading in August when mining production fell year-on-year by 9.1%, production in September is expected to have stabilised, according to consensus forecast, with a modest increase of 0.30% on the year. A weak comparative base should boost the year-on-year reading. Mining production should gather pace amid better policy certainty and continued strength in international mining commodity prices. • Manufacturing production: Due Thursday 8th November. Despite depressed manufacturing purchasing managers’ index (PMI) survey data, the third quarter is expected to close off with a slight pick-up in manufacturing production growth in September. Manufacturing production is expected to have increased by 1.80% year-on-year, according to consensus forecast, up from 1.30% in August. • The spike in the rand/dollar rate to R15.50/$ in the first week of September may mark the peak in the currency’s recent decline. • The JPMorgan global bond index is testing the support line from the bull market stemming back to 1989, which if broken will project further sharp increases in bond yields. • The US 10-year Treasury yield has broken above resistance at 3.0% and 3.20%, paving the way for a new 3.20-3.30% trading range. However, any further move highly is likely to meet stiff resistance, especially at the key 3.50% level. • The benchmark R186 2025 SA Gilt yield has spiked higher to 9.30% but is expected to meet stiff resistance at this level, limiting any further likely upside. The R186 may retrace a portion of its upward move taking the yield back to the 8.80% level and thereafter 8.60%. • The Brent oil price was unable to remain sustainably above key resistance at $80 per barrel, suggesting a new trading range of $65 to $75. The outlook for base metals prices is less certain after the copper price retreated sharply from the key $7 000 per ton level. A decisive break below $6 000 per ton would herald a bear market in copper and base metals’ prices. • Despite the consolidation since the start of the year the break in the JSE All Share index above the key resistance level of 60 000 in December signals the early stages of a new bull market. • Emerging markets have underperformed significantly since the start of the year. This seems anomalous in the context of strong synchronised global growth and elevated international commodity prices. Despite an economic backdrop that is supportive of emerging market equities, the MSCI Emerging Market Index has dropped by -13.96% year-to-date (to 5th November) versus a far milder drop in the MSCI World Index of -3.17%. • This seems unreasonable. Emerging market economies are enjoying stronger GDP growth. In its latest bi-annual World Economic Outlook, the IMF forecast world economic growth in 2018 and 2019 of 3.7%. US growth, having achieved 4.2% annualised in the second quarter is forecast to slow to 2.5% in 2019. On the other hand, emerging market GDP is forecast to grow 4.7% in both 2018 and 2019. • In addition, emerging market companies are showing stronger revenue and earnings growth than their developed market counterparts. The median emerging market equity is forecast to grow revenues by 11% in 2019 compared with growth of less than half that for developed market equities. • Equity valuations in emerging markets have dropped back significantly. They now offer considerable value relative to developed equity markets. Despite stronger revenue and earnings growth, the MSCI Emerging Market Index trades on a far lower price-earnings multiple of 11.7x, compared with a multiple of 17.9x for the MSCI World Index. The valuation gap is equally compelling on other measures. The two indices are trading on price-to-book multiples of 1.5x and 2.4x and Enterprise Value to EBITDA multiples of 7.8x and 11.4x, respectively. • Blame for the underperformance in emerging market equities is attributed to the strengthening dollar and unpredictable US trade policy. However, these key market forces may be close to a crucial inflection point. As background, the majority of fund managers cite the trade conflict as the biggest risk to global financial markets. Meanwhile, a stronger dollar reflects a tightening in global financial conditions, which prompts underperformance in riskier assets such as emerging market equities. • The Fed has carefully navigated a normalisation in interest rate policy. For the first time in a decade the fed funds rate is now positive in real terms, exceeding the inflation rate and fast approaching the neutral rate where it is no longer accommodative. Fed chair Jerome Powell’s speech, at the annual Jackson Hole central bankers’ conference, hinted at a more cautious approach to interest rate hikes now that US rates are close to the neutral rate. The fading tax stimulus and expected slowdown in US growth in 2019 will give the Fed even more reason to pause. As a result, the upward pressure on the US dollar is likely to ease. • In the past three months the US, although raising the stakes in its trade relations with China, has successfully concluded the United States-Mexico-Canada Agreement (USMCA), put Eurozone auto tariffs on hold, finalised a free-trade deal with South Korea and agreed to hold bilateral trade talks with Japan. Provided the trade conflict does not spread beyond the US and China, which seems unlikely given positive developments elsewhere, the effect on global trade and global GDP will be negligible. The worst-case effect on China and the US will also be mild, with bilateral trade between the two countries accounting for a modest 2.5% and 1% of their respective GDPs. • An inflection point in the appreciation in the US dollar and the deterioration in US trade relations should pave the way for a re-rating in emerging market equities. What is good for emerging markets, as an asset class, is also good for the rand and South African equities.